No, Ketchup is not Paleo! 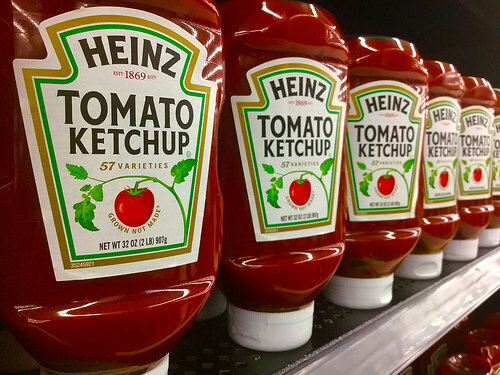 The top 3 most commonly used condiment in the United States is ketchup and Heinz is its leading brand. From French fries, to hotdogs, sandwiches and burgers, ketchup is poured on almost any fried food. Ketchup is a concoction of tomatoes, vinegar, salt, sweetener and spices and has a sweet, tangy taste. Store bought ketchup usually contains loads of sugar and corn syrup is a favorite one. 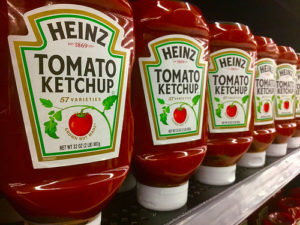 Even the reduced sugar versions of ketchup found in the grocery stores are full of unnatural flavorings and spices such as artificial sweeteners and MSG. While condiments like ketchup and mustard have been around for a long time, ketchup is still not approved in the Paleo diet because of its high sugar content. In addition, tomatoes are classified as member of the nightshade family that cause inflammation and adverse reaction to some people when consumed in high amounts. Is There Any Benefit Found in Ketchup? Maybe the main benefit of using ketchup as add on to dishes is that it can enhance the flavor of food. It is true that the main ingredient used in ketchup is tomato and tomato is rich in lycopene. Lycopene is a known antioxidant that helps protect the body from harmful free radicals. Another notable benefit of ketchup is that it contains high amounts of vitamin A too. Vitamin A is associated with healthy eyes, skin, teeth and bones. While ketchup can provide some health benefits, it must be taken into consideration that its nutritional value depends on how natural the ingredients are used to make it. Also, most ketchup sold in the market has loads of sugar and unnatural additives. It is not very easy to eliminate ketchup as a condiment to your burgers and fries when you are following the Paleo diet but who says ketchup cannot be Paleo friendly? Making homemade Paleo ketchup is very easy to make and you even have the freedom to add a wide variety of flavors into it. The basic ingredients in making ketchup are tomatoes, vinegar, water, garlic, onion, pepper and salt. Blanch raw tomatoes in boiling water for 60 seconds and then peel. Cook and strain the tomatoes until it has become a thickened tomato sauce. Combine all the other remaining ingredients in a food processor and blend until smooth and creamy. Some Paleo recipes add a little coconut sugar or honey to add sweetness to the blend. Boil and simmer the ketchup in a small saucepan for 15 minutes. Pour it in an airtight container and store in the refrigerator. What Experts Say About Ketchup… Is It Paleo? Mark’s Daily Apple. Homemade Condiment Creations. SF Diet. What Condiments Are Allowed on the Paleo Diet? The Paleo List. Is Ketchup Paleo? Paleo Plan. Is Ketchup Paleo?